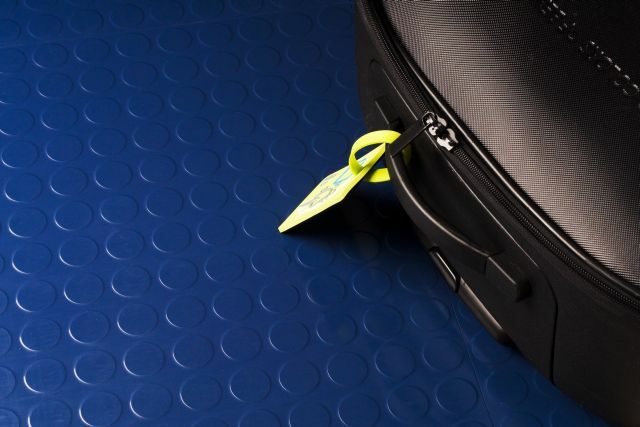 A high performance, durable, studded rubber tile available in a wide range of colours. Studway offers functionality, quality and aesthetic requirements to a wide range of sectors. Domestic, commercial and industrial use. Residual Indentation (EN 433): 0.08 mm. Dimensional Stability (EN 434): 0.03%. Colour fastness (to artificial light): To ISO 105-B02. Cigarette-burn resistance: To EN 1399. Thermal resistance (DIN 52 612): 0.015 m²K/W. Effect of chemicals: To EN 423. Sound absorption (ISO 140-8): 8 dB. Electrical propensity: To EN 1815. Castor chair: To EN 425. Slip resistance (EN 13893): Class DS.